When patients come to our Orland Park dental care center, they can expect to receive careful attention when it comes to any problems they may face. A minor issue like chronic bad breath or recurring dry mouth may be the first sign of a serious problem that requires advanced restorative dentistry treatment. Case in point: tooth sensitivity. If you start experiencing tooth sensitivity because of the loss of gum tissue, this is something that should be addressed as soon as possible. Let's go into this issue in more detail right now, starting with some of the basics. The Enamel Layer -The topmost layer of a tooth is made of enamel, which is one of the strongest substances in the human body. The Dentin Layer – Beneath the enamel is a porous substance called dentin. The pores in the dentin are known as dentinal tubules. The Pulp Chamber – Inside of every tooth is a chamber that's filled with dental pulp. This pulp is comprised of nerves, blood vessels, and connective tissue. The Crown – The crown is the visible part of the tooth located above the gumline. The Root – The root is located beneath the gumline and reaches down into the jawbone. Gum recession refers to the loss of tissue along the gumline. When this happens, it leads to greater exposude of the root structure of a tooth. In serious cases of gum recession, this can contribute to a tooth feeling loose and possibly even tooth loss. The root of a tooth is meant to be covered by the gumline. It has less enamel than the crown of a tooth, which without the gumline in place, there is more potential exposure of the porous dentin of a tooth. This means sensitivity and discomfort are likely to occur when food/beverages of hot or cold temperature come into contact with the roots. 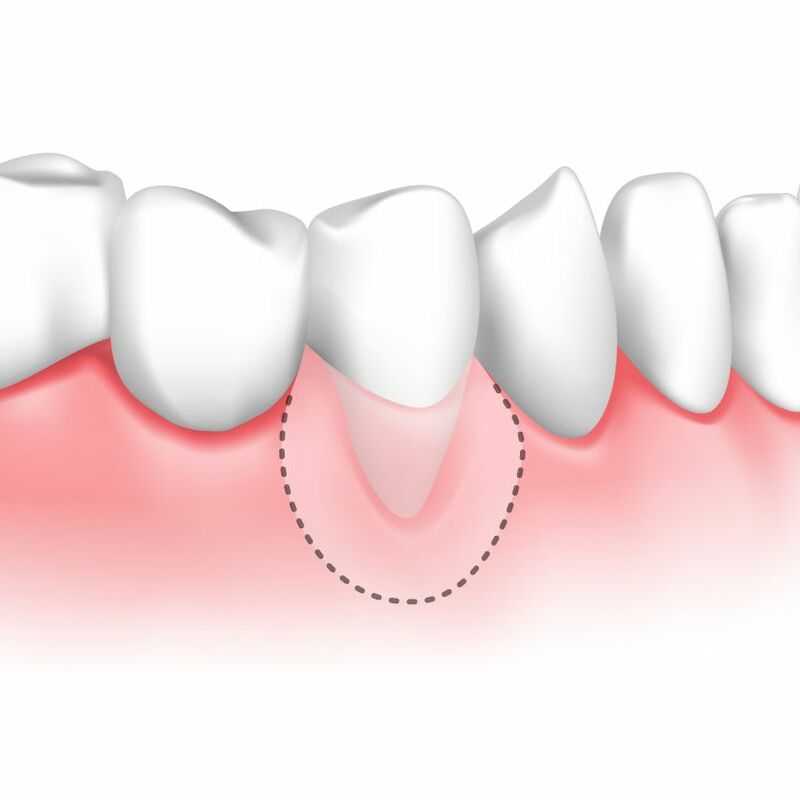 If you suffer from gum recession, the ideal treatment option is typically a soft tissue augmentation procedure. This will place donor gum tissue or artificial gum grafts over the exposed roots of a tooth, rebuilding the gumline in the process. If a patient suffers from other health problems in addition to gum recession, it's important that these be addressed as well, often before the gum grafting is performed. For more information about treating gum recession and avoiding a host of dental health issues, be sure to contact our advanced cosmetic and restorative dentistry center today. The team at our practice will work with you to improve the health and appearance of your smile.